RIGHT NOW, Here on MyStyleSpot, you can ENTER TO WIN this chic cozy gray and black lace dress! ENTER TO WIN this dress in the Rafflecopter form below! 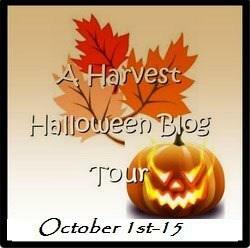 See the linky at bottom of this post to get ENTERED TO WIN in over 6+ Other prizes from my blogger friends in this Harvest Halloween Blog Hop! Our daughter might style this dress with boots, earrings, and a statement necklace. with knee high boots and scarf! I think a nice scarf and some short hi heel boots would look nice. I would wear this with some thigh high stockings, ankle boots, a modern hooded trench coat (Witchy Style), a maroon colored scarf, & some dangle earrings. I’d wear it with some thigh high boots and some jewelry. Gotta have some dangle earrings, my high boots and my scarf!